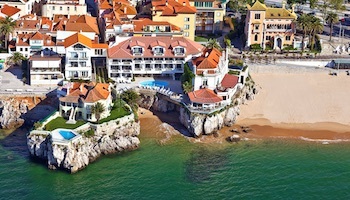 Portugal is a small country that faces the Atlantic coast of the Iberian Peninsula. Because of its beautiful coastline and historical heritage, it is one of the most visited countries in Europe. Its smaller size makes it easier to get around and see more places than say neighboring Spain in the same amount of time. 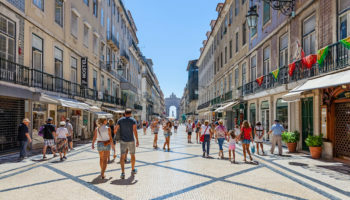 The temperate climate makes it a year-round vacation destination, where travelers can see Roman and Moorish ruins among other tourist attractions in Portugal. The Alcobaça Monastery is a Roman Catholic Monastery located in the town of Alcobaça, in central Portugal. 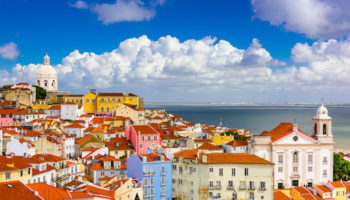 It was founded by the first Portuguese King, Afonso Henriques, in 1153, and maintained a close association with the Kings of Portugal throughout its history. The church and monastery were the first Gothic buildings in Portugal, and, together with the Monastery of Santa Cruz in Coimbra, it is one of the most important of the medieval monasteries in Portugal. The University of Coimbra is one of the oldest, continuous universities in Europe, having been established in 1290. It also is one of the largest universities in Portugal, with approximately 20,000 students. There are many sections of interest within the university complex. Built in the early 18th century at the instigation of King Joao V, the library Biblioteca Joanina is a fine example of Baroque architecture. The Sala dos Capelos, the original throne room, is where the doctorates are awarded. The Capela dos Ossos would appear to come straight out of a Halloween movie, but, in reality, it was a simple solution by 16th century monks on what to do about too many cemeteries taking up space in Evora. They moved the human remains to a special chapel, known as Bone Chapel, where the bones decorate the interior of the chapel. The chapel is part of the Gothic Church of St. Francis. It’s estimated that 5,000 skeletons, including skulls, adorn the chapel walls and ceiling. 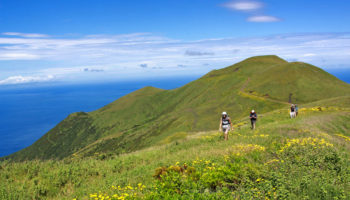 Cabo Girão is located in the southern coast of Madeira, in the Portuguese archipelago with the same name. At 570 meters (1,870 feet), the cliff is often referred to as the highest sea cliff in Europe but at least three European cliffs are higher. The view down the almost sheer drop to the ocean is thrilling nonetheless. In 2012 a glass-floored platform was installed creating an even scarier viewing experience. The São Jorge Castle is one of the top tourist attractions in Lisbon as it can be seen from all over the city. It dates back to Roman times, though the Moors rebuilt the fortifications in the 10th century. The castle was freed from Moorish rule in 1147 during the Siege of Lisbon in the Second Crusade. It later served as the residence of King Alfonso III. The castle has been destroyed and rebuilt several times. Today, walls and 18 towers that visitors can climb remain. 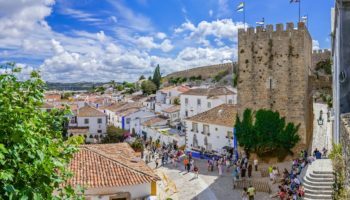 Obidos Castle is an impressive structure that sits on a hill at Obidos, a small city that dates back to Roman times on Portugal’s Atlantic coast. The Moors built the castle sometime in the eighth century. It was remodeled around the 14th century and a keep was added. 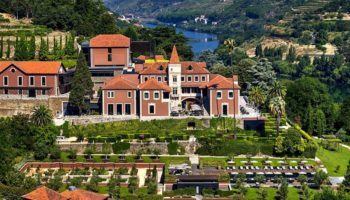 The castle today houses a luxury pousada hotel. A traditional medieval market takes place in the castle every July. Cais da Ribeira is a charming picturesque district in Porto, sometimes referred to as “the soul of Porto.” It’s made up of medieval streets that end on a square by the Douro River. 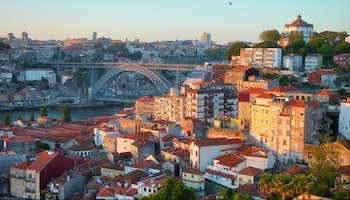 Medieval buildings are filled with bars, cafes and restaurants, making Ribeira a popular place for eating and drinking. Ribeira is especially popular on feast days when townspeople flock there to see fireworks. There’s a bronze cube in the middle of the square. Nearby is the house where Prince Henry the Navigator was born in 1394. Praia da Marinha is considered one of the most beautiful beaches in Portugal. 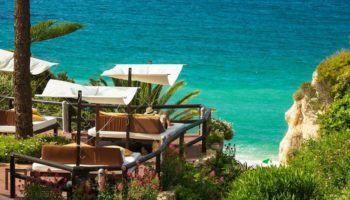 Located in the Atlantic coast region of Algarve, the beach is flanked by gorgeous blue waters on one side, and sandy beaches and high cliffs on the landside. Also known as Navy Beach, it is a small cove that is used extensively as an image in travel brochures. The beach’s clear waters make it a good place for snorkeling. This picturesque beach is about a 30-minute drive from Albuferia; free parking is available. Belem Tower, also known as the Tower of St. Vincent, sits on what once was an island in the Tagus River in Lisbon, the capital of Portugal. Dating back to 1515, the imposing tower was built both to defend Lisbon from invaders and to welcome the city’s friends. Built in the Age of Discovery, the four-story limestone tower has a bastion connected to it; the bastion had space for 17 cannons that could fire long range shots. A statue of Our Lady of Safe Homecoming, designed to protect sailors on their voyages, faces the river. The Pena National Palace seems like a fairy tale castle as it stands above the clouds on overcast days. Yet, sitting atop a hill in Sintra, it can be seen from Lisbon on a clear day. 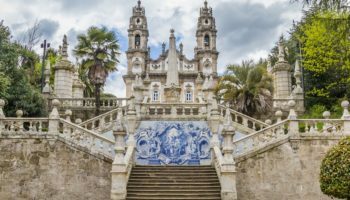 Created by King Ferdinand II, it is an impressive example of 19th century Romanticism, not only in Portugal but also the world, as it combines Moorish and Manueline architectural styles. It started out as a chapel to Our Lady of Pena during the Middle Ages, and is used for state occasions today. Feeling great to have read this list. 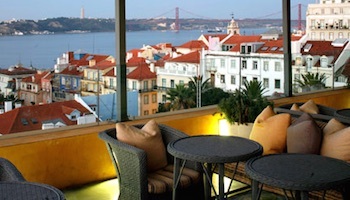 Portugal is really my next destination. Portugal is worth the time and the money to visit.. They prefer English over Spanish. Fabulous museums, churches, and history abounds. The people are also amazing and friendly. I recommend this country to anyone wanting to see a lot of history for the price. My grandparents Jose’ and Maria Almeida came over to the USA from Portugal in the 1930’s. Nice work on this article! 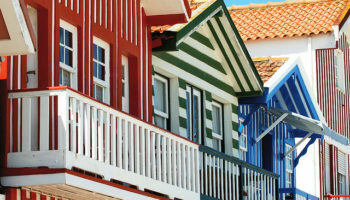 Indeed, Portugal is an amazing and beautiful country with much to see – from north to south and islands. Castles, palaces, cathedrals, monasteries and other monuments are some of the Portuguese riches. But there is much more to see and feel – discover the beautiful beaches, nature parks, unique villages and taste the Mediterranean gastronomy like never before. You can also visit my blog for more information about this European gem.